May 8, 2013 (Part I, Part II) – Part II: audio only. May 01, 2013 – Due to technical difficulties, only the audio is available. Review and evaluate the success of Closing the Gaps by 2015, the strategic plan for higher education adopted in 2000. Coordinate with the Higher Education Coordinating Board on the next set of long term goals for higher education and monitor their progress. Study and make recommendations regarding the impact of technology on higher education instruction, including online courses and massive open online courses (MOOCs), and their impact on higher education excellence, cost, and funding requirements. 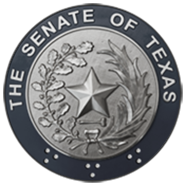 HB 1244 (2011), relating to developmental education and the assessment of student readiness under the Texas Success Initiative and to students enrolled in developmental education at public institutions of higher education. Review and make recommendations regarding the use of dual credit coursework and other secondary school programs for college credit, including the academic rigor of such programs and predictive value for college success. Examine and make recommendations regarding alignment between high school coursework and expectations in freshman level college coursework. Study the impact of particular coursework, specifically mathematics (including Algebra II) and science courses, as predictors of college readiness and success.